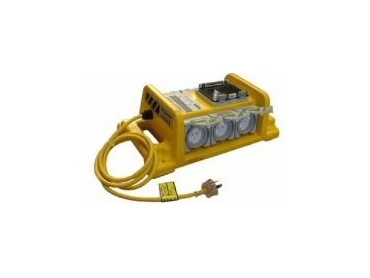 THE new LIFEGUARD6.6PSOA (Portable Socket Outlet Assembly) has been released from Spinefex Pty Ltd with a number of upgrades to meet the current requirements for use on Building Sites. The New LIFEGUARD6.PSOA has the features that tradesmen and the Office of Health and Safety have been demanding. • Manufactured in high impact Polyethylene. • 6 x Double pole, Self switching socket outlets. • Still a Lightweight, fully Portable practical Safe Power Distribution Board. • Another LIFEGUARD RCD protected, safety product. When purchasing portable electrical safety devices, Spinefex Pty Ltd recommends ensuring it displays compliance with AS/NZS standards by looking for the required certificate of approval number which must be marked on the article. LIFEGUARD is the one that tradesmen use, according to Spinefex Pty Ltd.